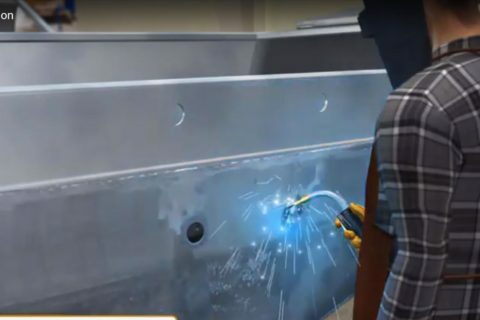 When working at height, it is important to know your fall clearance and swing fall, whether using a shock-absorbing lanyard or self-retracting lifeline. 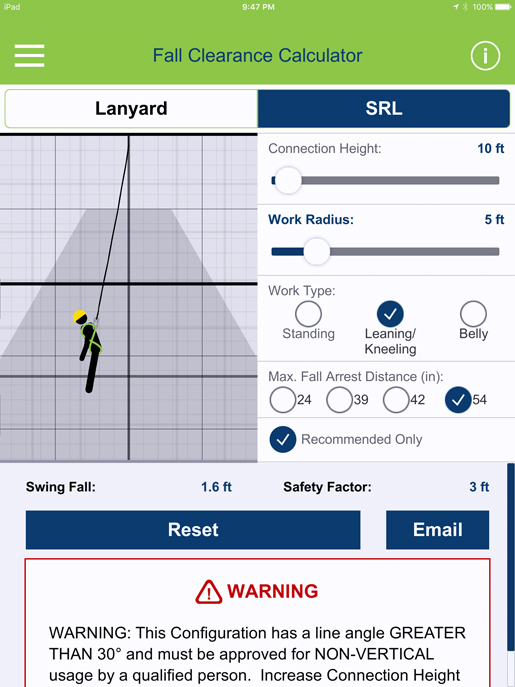 Calculating your fall clearance and swing fall is critical to your safety. 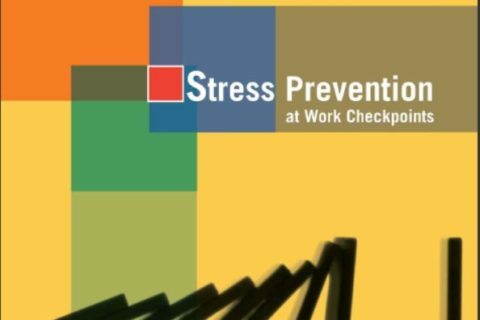 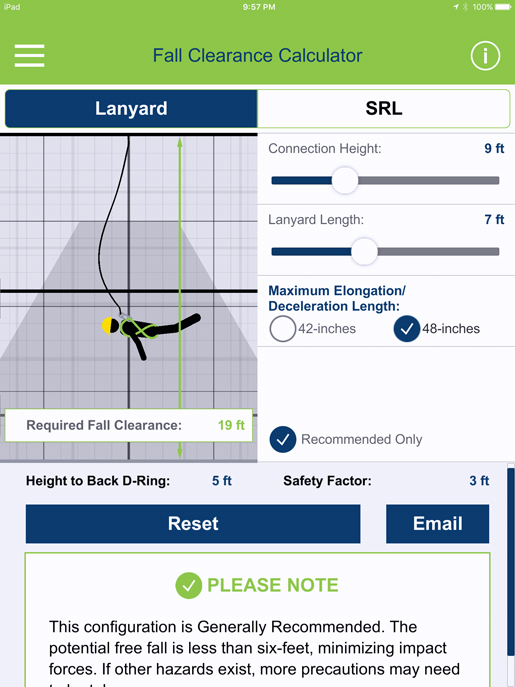 The Miller Fall Clearance Calculator App gives workers at height the ability to quickly calculate the required fall clearance for Shock Absorbing Lanyards and Self-Retracting Lifelines, including swing fall.